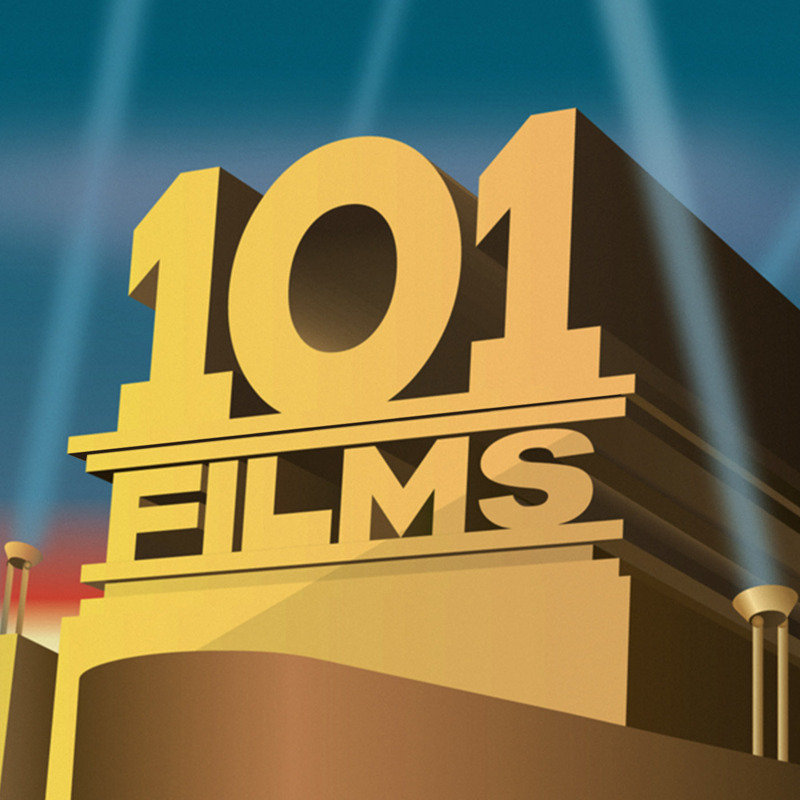 In a nutshell, ‘101 Films…’ is a podcast dedicated to the films you probably should have seen, but for some reason never quite got round to watching… plus a few obscure ones that you’ve probably never heard of but should watch anyway. After dabbling with podcasts on our previous blog, ‘101 Video Games That Made My Life Slightly Better‘, we were keen to make our next project a dedicated podcast, and the idea of ‘101 Films You Should Have Seen’ was born. The original notion was to simply create a series of 101 podcasts dedicated to our favourite films, but we quickly realised that would mean us spending the next few years re-watching a load of films we’ve already seen. Then we hit on the idea of film recommendations, and came up with a list of films that one of us had seen, but for some reason the other one hadn’t – either because the film is too obscure (e.g. Black Cat, White Cat) or because, for some inexplicable reason, we never quite got round to seeing it when it first came out (e.g. Top Gun). However, we need your help to complete the list – do you have any films you’d recommend for us to watch for future podcasts? The only criterion for inclusion is that at least one of us should not have seen the film before: simple! Please list your recommendations in the box below, along with the reason why you like each film, and we’ll try to include them in future recordings. We’ll be posting a new podcast every Thursday every fortnight whenever we can be bothered, so join us as we laugh in the face of each other’s film recommendations and attempt to look knowledgeable by regurgitating stuff we ‘ve just read on Wikipedia. Very much enjoying the Podcasts despite you rubbishing my suggestion of Garden State. I look forward to hearing your review of Zatoichi – but Lewis – please give Ian some extra nihongo classes before you get round to that one. ps Ian’s laugh is too loud. He should be made to sit in the bathroom and record from there whilst the mike is in the living room. Your podcasts are addictive. Have listened to most of the ones posted on your old blog (the one about games) and now I’m hooked on these film ones as well. 🙂 Keep up the good work! Love your humour. Thanks oldschool, glad to know someone is enjoying them out there (and even more surprisingly shares our sense of humour!). Will check out your blog. Don’t know how I found this. Buts it’s funny. Trawling web for entertainment I suppose. But Great stuff. Here’s a few old movies I would enjoy hearing you review. 1. Bad Day at Blackrock. 2. The Searchers. 3. Stalag 17. I just listened to your “Touch of Evil” episode and felt compelled to write in. I am American or, as we pronounce it (take note for future impressions) ‘Murican, and despite my ethnic handicap, I am acquainted with ‘Allo! ‘Allo! enough to laugh at the idea of Orson Welles as Rene. Identity developed as an interesting theme during the episode- Charlton Heston as a Mexican, Orson Welles as the blackface Macbeth, you lot joking about the Statue of Liberty, cowboy hats, and hot dogs, etc. Which characters in film would you identify as essentially American? As a participant in the culture, a character like John McClane from the Die Hard movies comes to mind, though that’s with some tongue in cheek- it’s very much how we like to think of ourselves, but in truth I wonder if a character like General Buck Turgidson from “Dr. Strangelove” isn’t closer to how other countries view us. In thinking about which character seems essentially British, James Bond is a no-brainer, but having watched a lot of BBC, a less obvious but seemingly better choice would be Arthur Dent from HHGTTG. Lastly, my recommendations for films to add to your queue are Butley, Syriana and The Shining. I do hope to hear from you, and wish you the best of luck going forward. Oh dear. We always forget that actual Americans might listen to our ramblings. Please be assured its definitely all done in jest! Well done though on knowing what ‘Allo ‘Allo is. As for quintessential American characters, that’s a difficult one. I suppose one way to approach it would be to think of characters that you can only imagine as American. But that could include Dirty Harry, Alvy from Annie Hall, Dennis Hooper in Easy Rider and Kevin Bacon in Tremors! A pretty random selection of characters! Its funny you mention Dr Strangelove as I think that has a quintessentially British character, or at least a character that I hope represents the best of British characteristics, in Lionel Mandrake played by Peter Sellers – decent, brave, sensible and well-meaning. Of course he’s basically ineffectual which even better represents modern Britain. Thanks for the recommendations. We’ve both seen the Shining, but Syriana and Butley will be added to the list. Pingback: Movie Podcast: 101 Films You Should Have Seen | The 24-Hour Movie Marathon Weblog! Have you caught the 1999 animated film “The Iron Giant” yet? I just discovered this film and both my kids and I love it. Sorry for the tardy reply, I only just saw this. A couple of other people have recommended The Iron Giant too, and neither of us have seen it, so I reckon it’s a definite! If you still need movie suggestions, mine would be Jerome Bixby’s The Man From Earth … or .. Kaurismaki’s The Man Without a Past. Glad you’re enjoying the podcast and thanks for the suggestions! Let’s get to the end of this 101 and we’ll see how we feel. I suspect it will take us at least another year to finish!